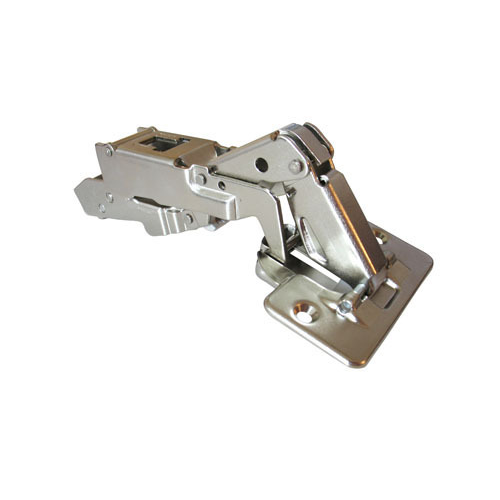 The Blum clip top 71T6550 170 degree full overlay self closing hinges are all metal hinges with nickel plating for door thicknesses up to 24-15/16 inches. The Blum 71T6550 170 degree full overlay hinges have a three dimensional adjustment. The hinges are compatible with 130 degree angle restriction clip and BLUMOTION soft close add-on.